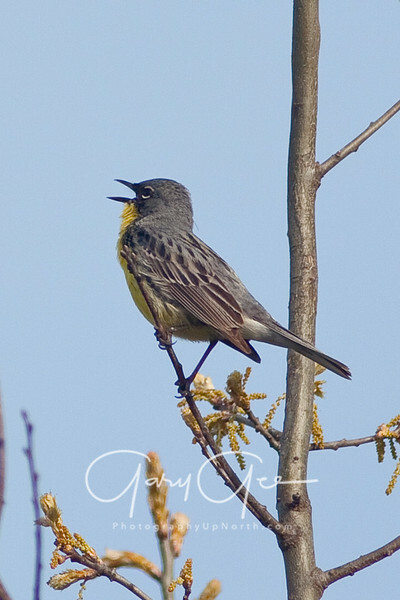 Kirtland's Warbler with small wasp. 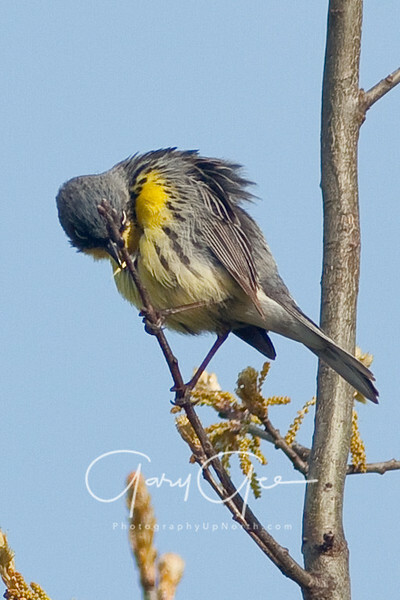 Kirtland's Warbler signing from branch about 10 feet up. 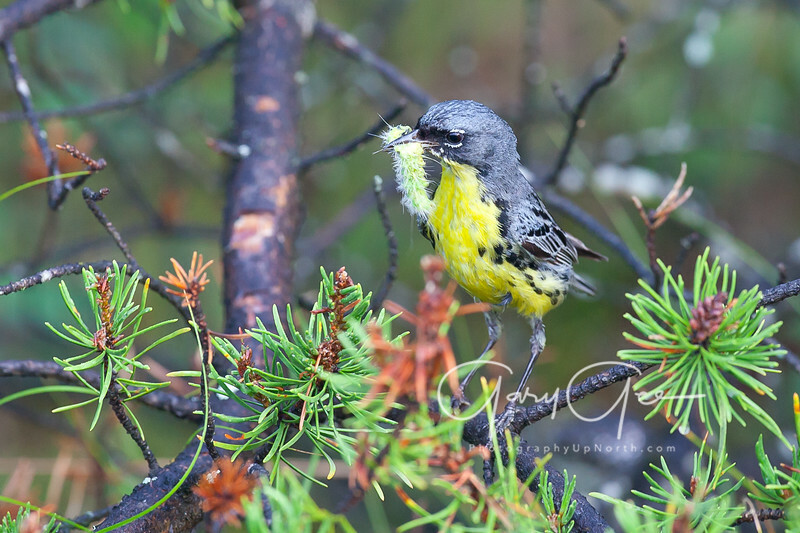 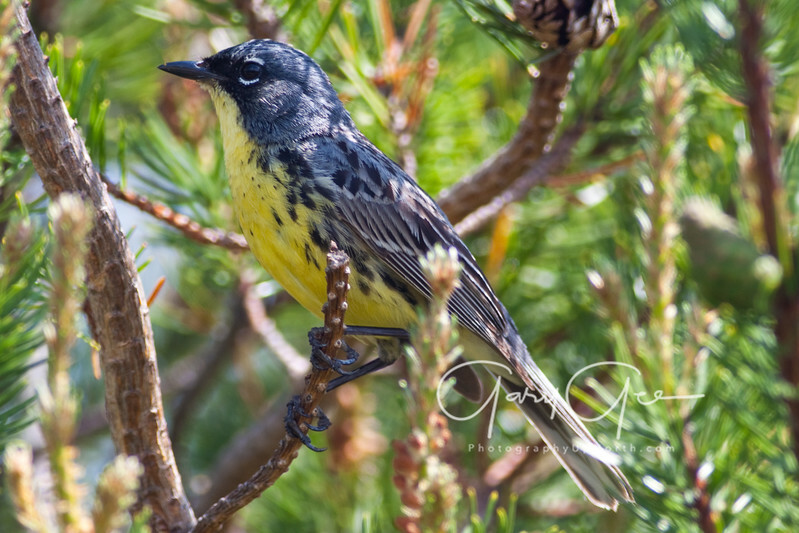 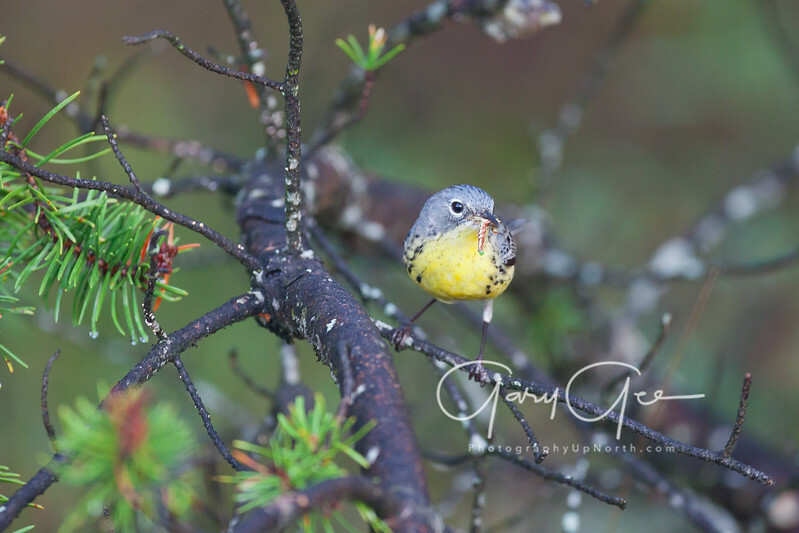 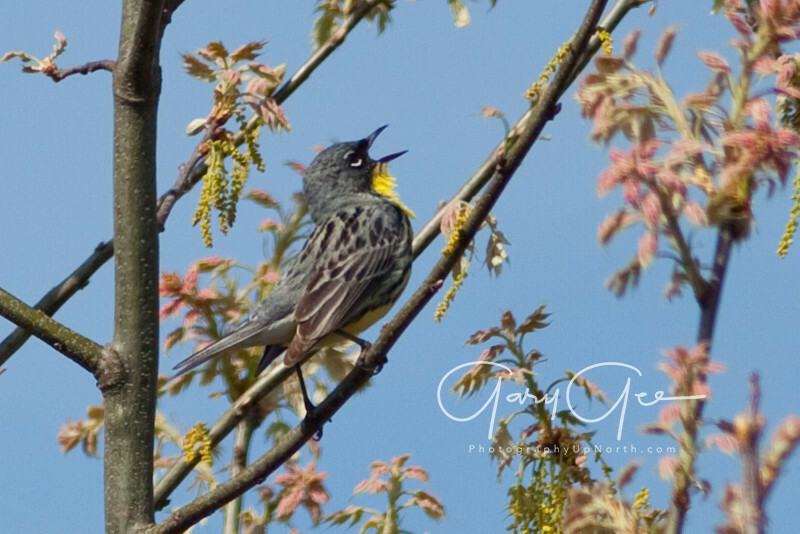 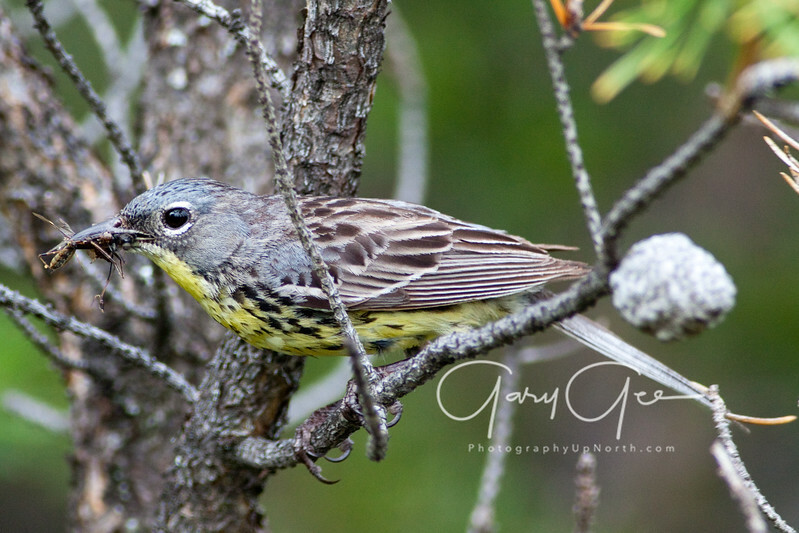 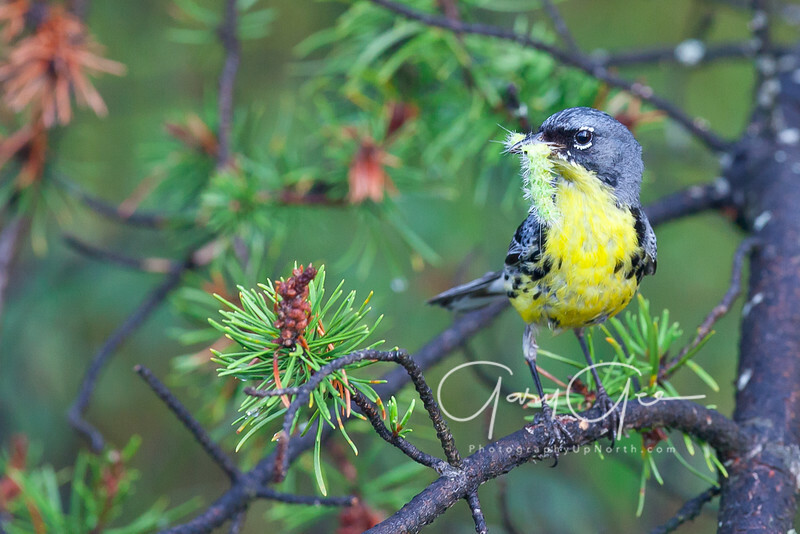 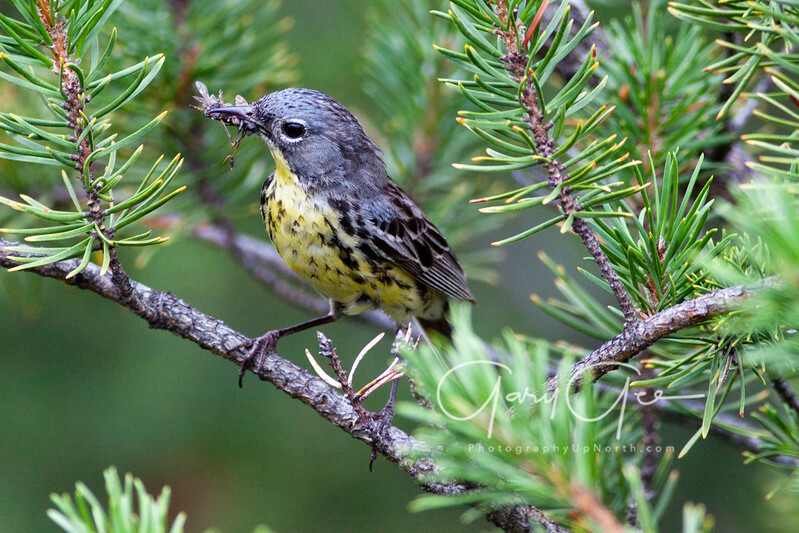 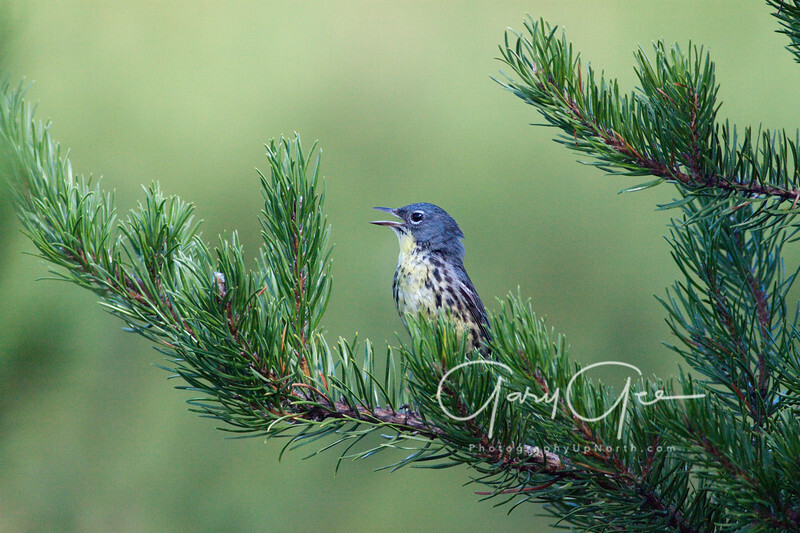 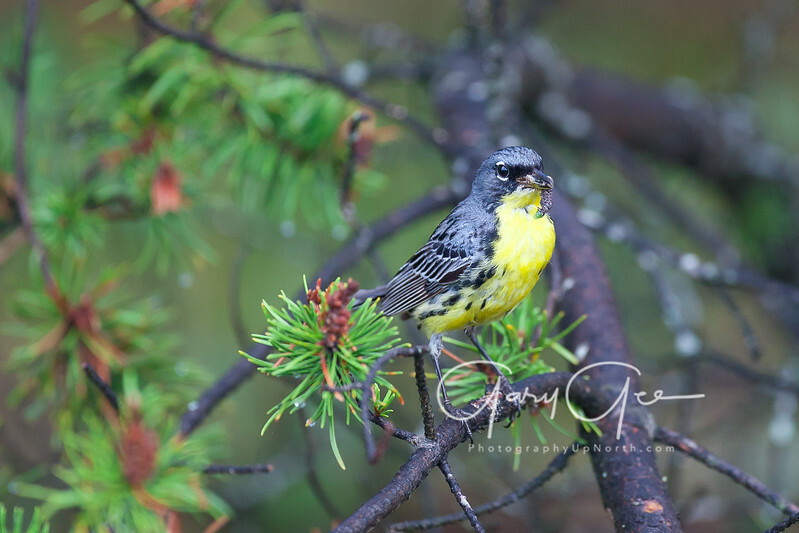 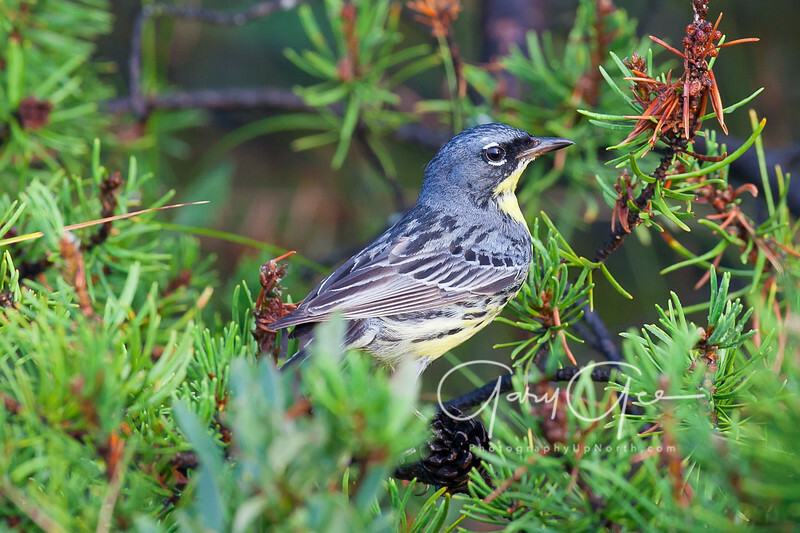 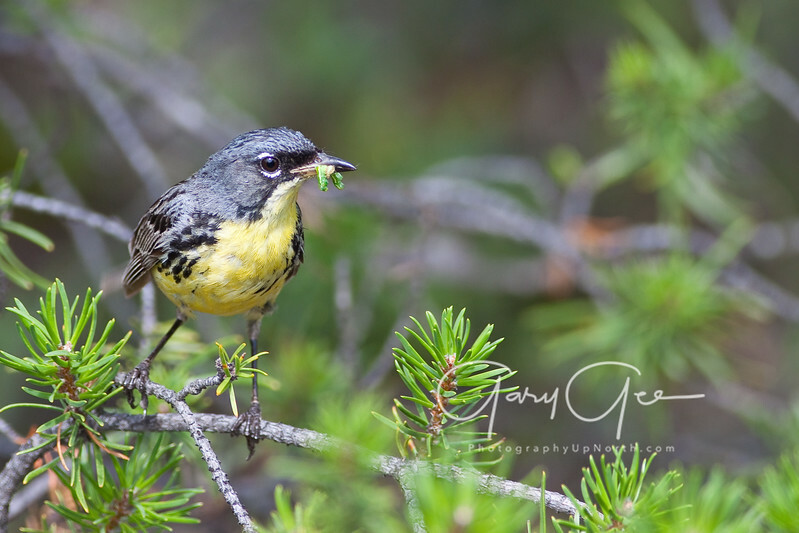 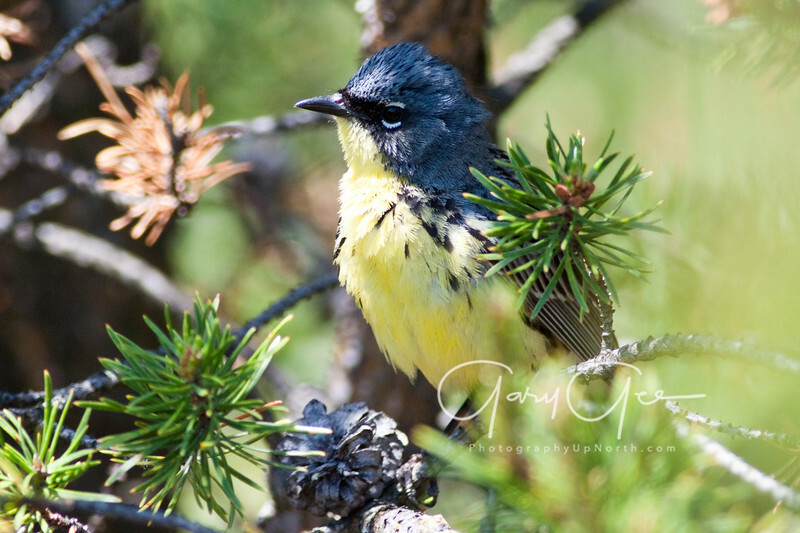 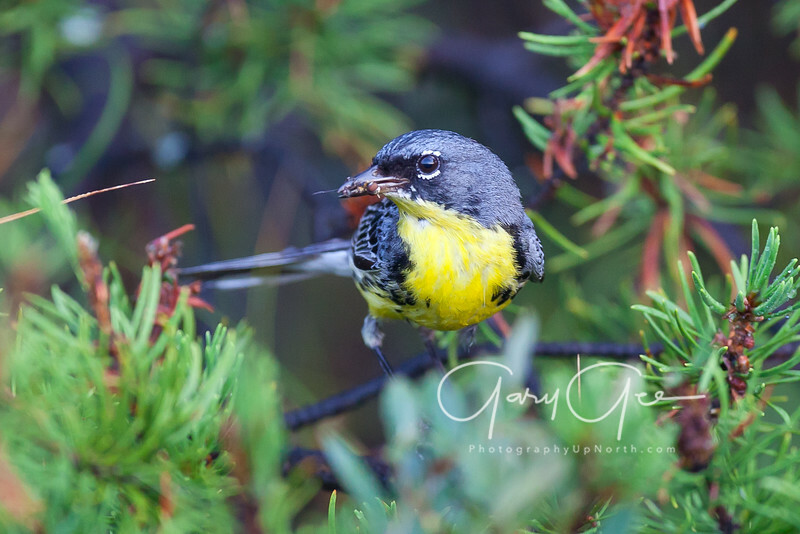 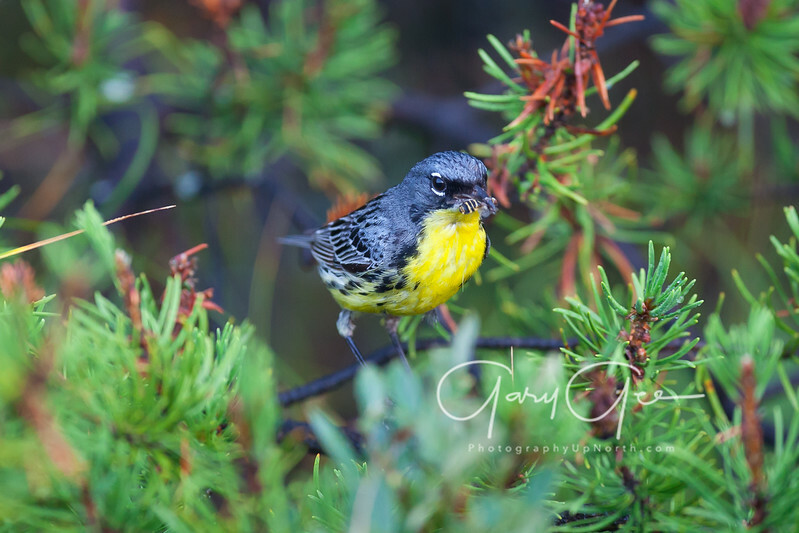 The Endangered Kirtland's Warbler with a wasp pausing before entering the nest.